Christmas is the most important holiday of the year for Christians and even non-Christians in the Czech Republic. The major day of Czech Christmas is December 24th, called Štědrý den (Christmas Day). On this day all family members get together and enjoy the relaxing and magical atmosphere. In the evening they have a festive dinner, mostly fried carp (or other fish) with cold potatoe salad. After dinner they gather around the Christmas tree and unpack the presents they bought to each other. Kids believe that the presents are brought by Ježíšek (Baby Jesus) but nobody really knows what he looks like. People of all ages also like to watch fairy tales on TV and some families attend the Midnight Mass. Two other Christmas days are December 25th and 26th. That is time when people visit distant relatives and friends. Czech Christmas is very rich in traditions, some of them even hundreds of years old. 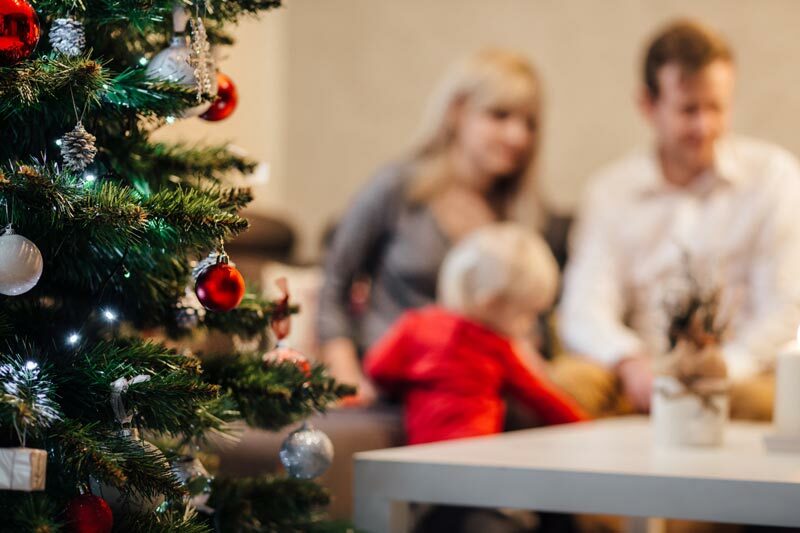 A Christmas dinner, giving gifts or decorating a Christmas tree are just few of them. Kids are told that if they don't eat all day they will see a golden piglet in the evening. Unmarried girls throw a shoe over their shoulder towards the door and if the shoe lands with the toe pointing towards the door, the girl will marry within a year. Some families pour a melted lead into a water and then the shape should tell them their destiny. Also cutting of an apple is very popular - all family members cut an apple in half and if the core has a star shape then everyone will get together next year in good health. Another nice tradition is to make little boats from empty walnut shells, put inside the water and place a burning candle inside them. If the shell makes it across the bowl, its owner will live a long and healthy life. Most families bake vánočka (sweet Christmas bread) or kuba (mushroom dish). Very common is to buy a live carp before Christmas, place it in the bathtub for a day or two and kill (or release) it on the Christmas day. The Christmas season begins four weeks before Christmas itself with the start of the Advent period. That's the time when people buy presents, adorn their homes with Christmas decorations and bake Christmas sweets, which is another hugely popular tradition in the Czech Republic. Starting the last weekend of November in most Czech towns you can visit beautiful Advent markets. And the most popular Christmas markets are, of course, in Prague. 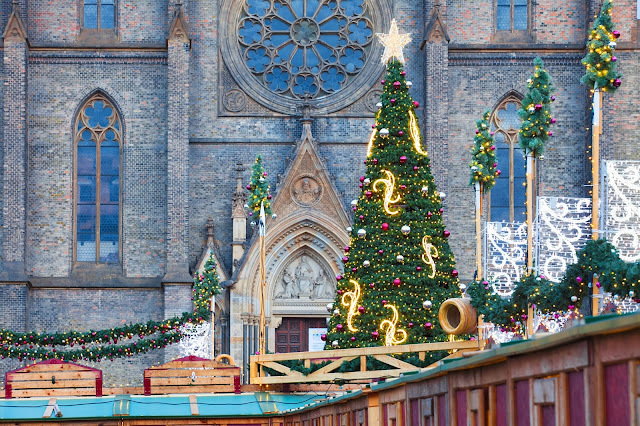 Recently the beauty of Prague Christmas markets was appreciated by US News & World Report - it was voted the Best Christmas Vacation Destination, followed by Vienna, Taos, London and New York City: "For the month of December, the capital of the Czech Republic turns into a winter wonderland you've got to see to believe. 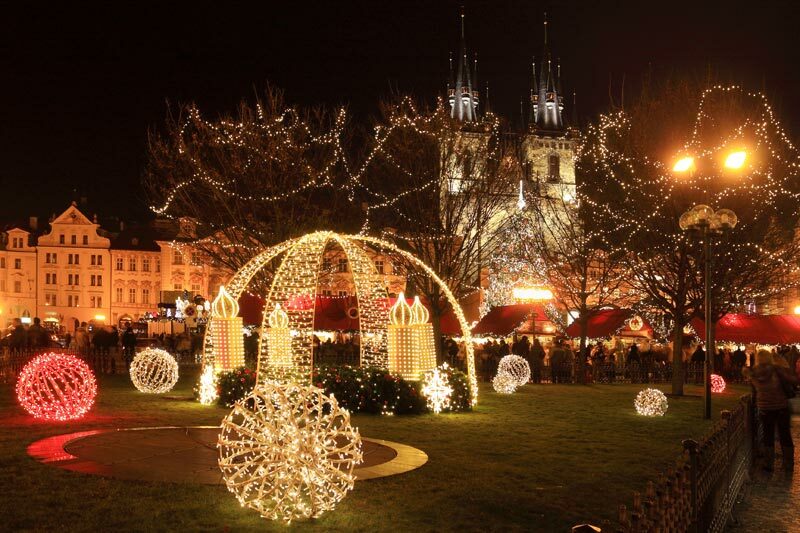 Its medieval architecture is blanketed in twinkling lights and the Christmas markets are some of the best in the world." 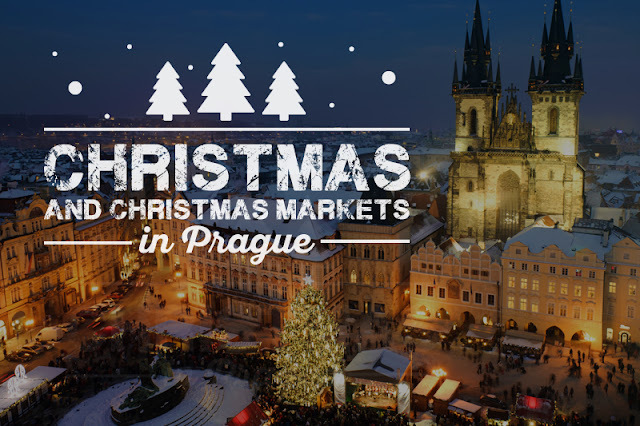 But there is not just one Christmas market in Prague, you can visit more than 10 larger or smaller markets. 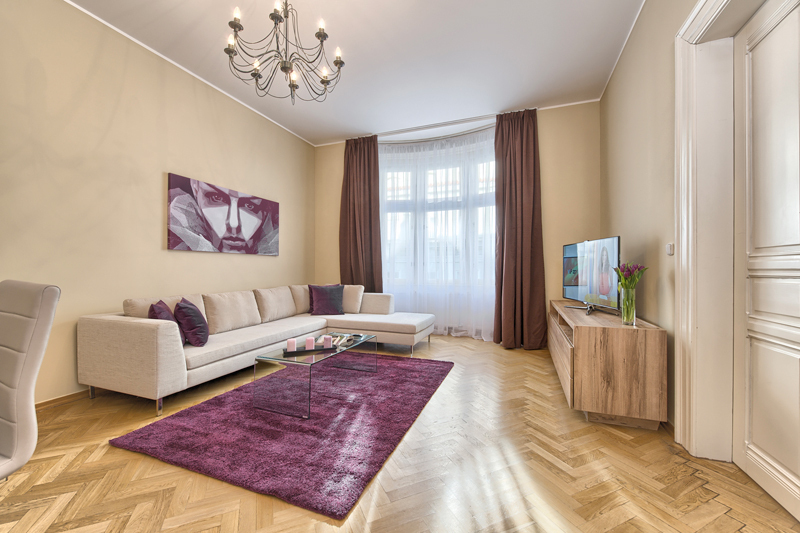 If you stay with Prague City Apartments you will have all the beauty right at your doorstep as all the apartments are situated in the very center of Prague. The Old Town Square market is definitely the most visited and most beautiful in Prague. In 2017 it starts on December 2nd and ends in early January. The square is full of cute little wooden stalls selling various products. 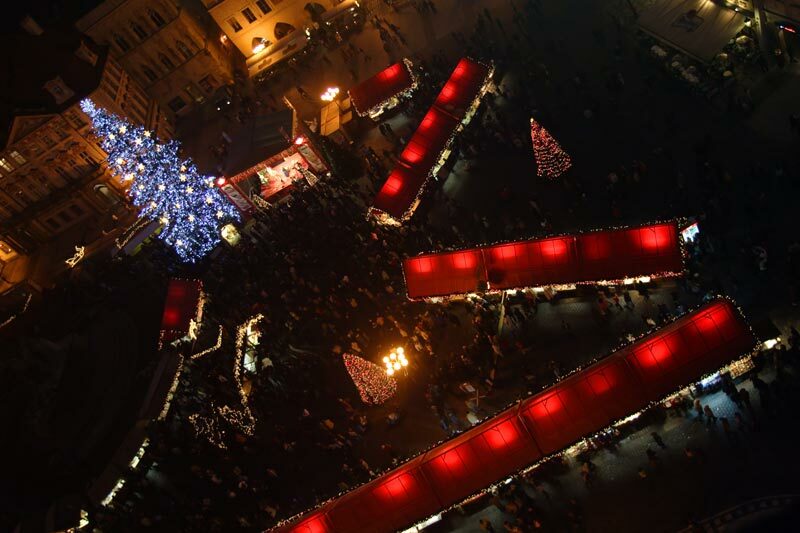 Most visitors enjoy a mulled wine, typical hot beverage for most Christmas markets all over the Czech Republic. If you don't want to drink it from the recyclable cups, buy a nice ceramic mug with Czech motifs and use it over and over. Other popular beverages are hot mead (medovina) or grog (rum with hot water). 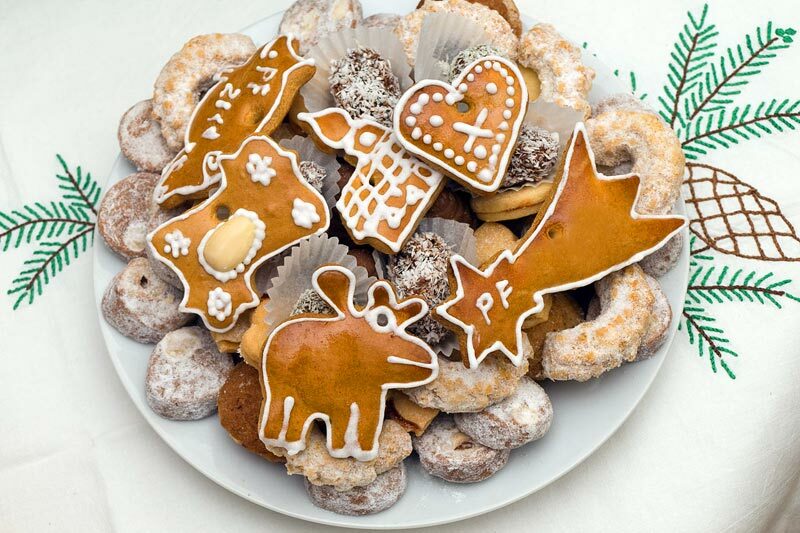 Also don't forget to taste Czech Christmas sweets (cukroví)! 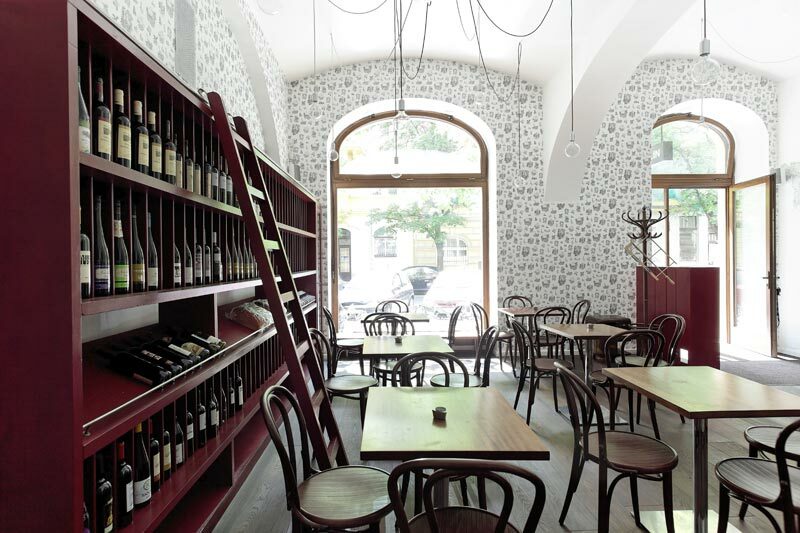 Other popular products and goods are traditional Czech wooden toys, handmade cosmetics, clothing accessories or candles. 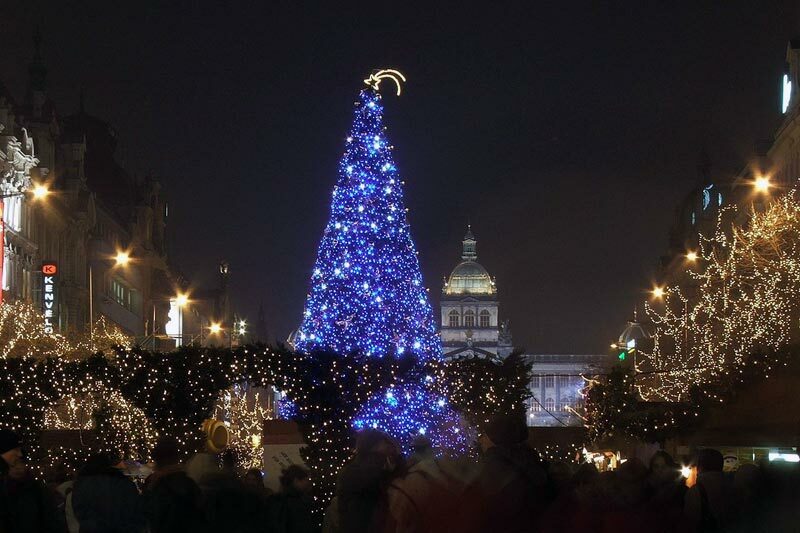 Enjoy a magical Christmas atmosphere while listening Czech carols and drinking mulled wine among the architectural treasures of the Old Town and a large Christmas tree! Every day numerous Czech and even foreign choirs sing Christmas carols and visitors can attend many concerts and other events. But be careful, the Old Town Square can get very crowded, especially before the tree lighting (every hour from 5.30 P.M. to 8.30 P.M.). 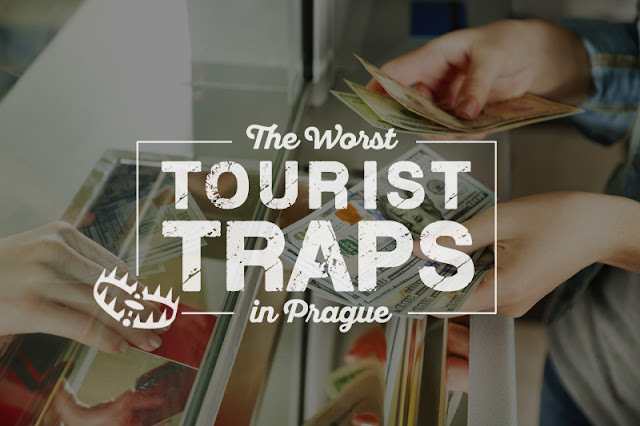 To beware of the worst tourist traps, check our post The Worst Tourist Traps in Prague. 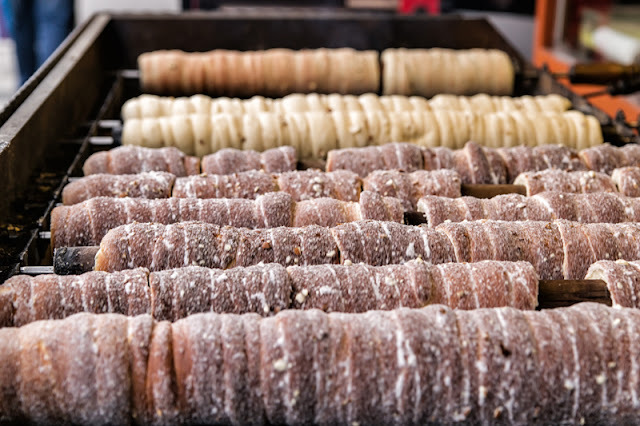 And if you like less crowded and more relaxing atmosphere, visit one of the smaller markets, further from the very center of Prague. The second large Christmas market in the very center. You will find it in a lower part of the square. 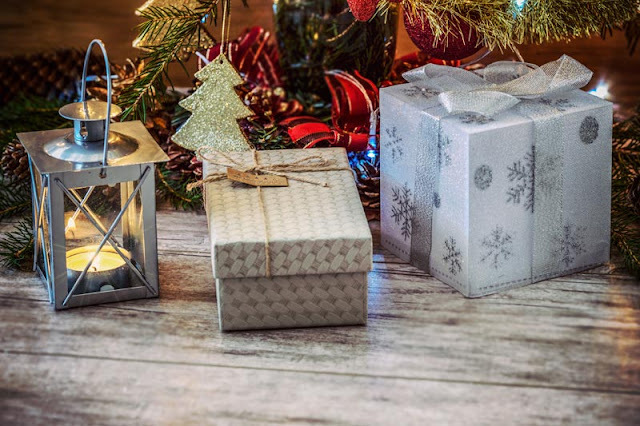 The offer is pretty similar to the Old Town square market - mulled wine and other hot beverages, wooden toys and other gifts or stalls with examples of traditional folk crafts. Same as the Old Town Square, this market can get very crowded, especially in the evening. The market at the Republic Square (Náměstí republiky) is the perfect place for those who seek less crowded Christmas market in the center of Prague. You will find it next to the Palladium shopping center. Stop by, feel the magical Christmas atmosphere, get a few cups of mulled wine to warm up and buy some handmade Czech gifts, wooden toys, candles or decorations. In 2017 the market is open until December 30th. The market is within walking distance from the Old Town Square and just a few minutes' walk from our residences Masna and Rybna. Or you can use yellow "B" metro line (Náměstí Republiky station) and trams 5, 8, 24 and 26 (Náměstí Republiky stop). Stalls opening hours: every day from 10 A.M.
Another market close to the city center. Although it's not that centrally located as the ones mentioned before, this market is well accessible by tram 22 and green "A" metro (Náměstí Míru station). You will meet a lot of residents enjoying their time with friends and families at this market. The market is located just in front of the impressive Church of St. Ludmila. Just a few minutes from the Náměstí Míru market there is another popular market. Tylovo Náměstí is situated right next to I.P. Pavlova metro and tram stops, easily accessible from the city center. Just go by tram No. 22 from the National Theatre, it takes less than 10 minutes. The market is organized in St. George's Square (náměstí U Svatého Jiří), right next to the majestic Prague Castle. More than 70 stalls with hot beverages, Czech Christmas sweets, traditional decorations and other products. Expect also accompanying program with carols, blacksmith, coinage or making decorations. Have you ever wondered who designs all our beautiful apartments? 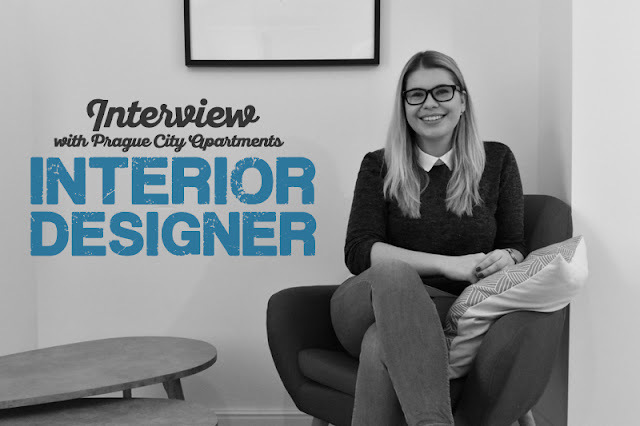 The answer is simple, our residential manager and interior designer - Lenka Petrová. 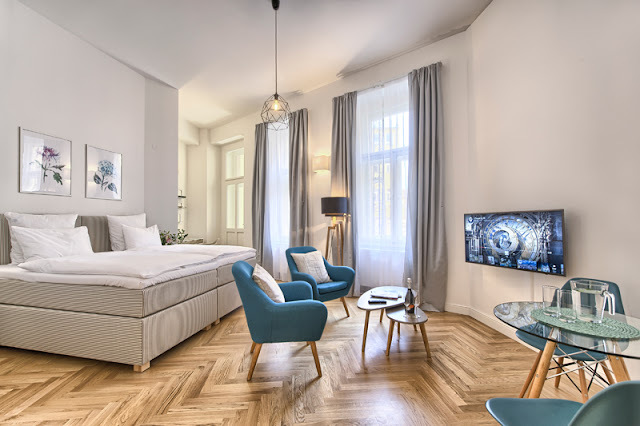 For our interview we met in the Jilska Palace dating back to the 15th century, where you can find brand new apartments freshly designed by Lenka. 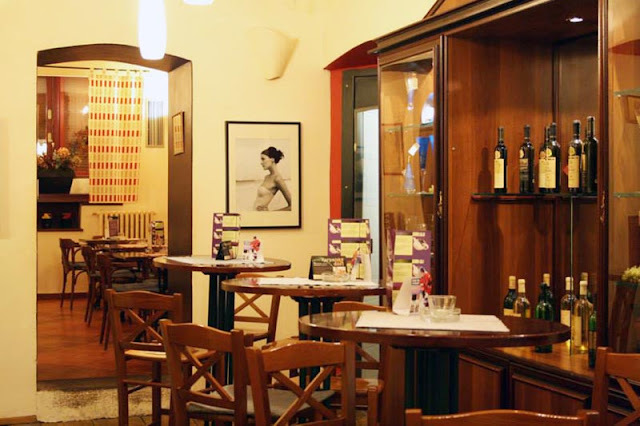 They are located very close to the main management office, just a few minutes' walk from the Old Town Square. Can you describe your job at Prague City Apartments? How long have you been working here? I work as a residential manager, that means I am responsible for the operational department and the technical management of our apartments. And I also design new apartments. I have been working here for 4 years. How did you get to the interior design? It was a complete coincidence. I simply applied for the job (interior design was a part of the job description) and I was hired. :) Personally, I do not consider myself a professional home designer, but it's something I love and it brings me joy. It is great to give a "piece of myself" to a new apartment. And a positive feedback from our clients is even better! 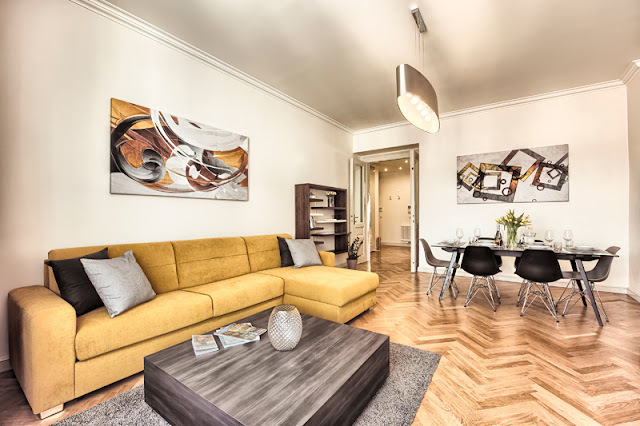 What apartments have you designed in Prague City Apartments? What was your first project? My very first project was Art Residence Krocinova, Apartment No. 52. I love this apartment because that's when I realized I liked interior designed so much. 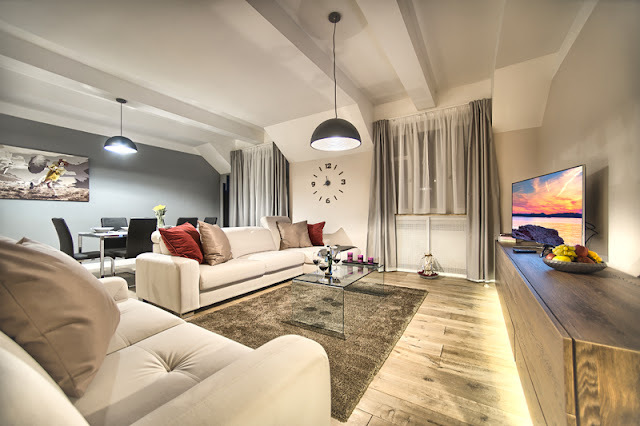 My other projects are for example Maiselova 5 Apartment, Konvikt Apartment, Krizovnicka Apartments, Jilska Palace Apartments or Milosrdnych Apartments. What is your favorite apartment? Definitely Krizovnicka Apartments, apartment No. 11 or 12. I fell in love with both of them during my very first visit. It was really a love at first sight. 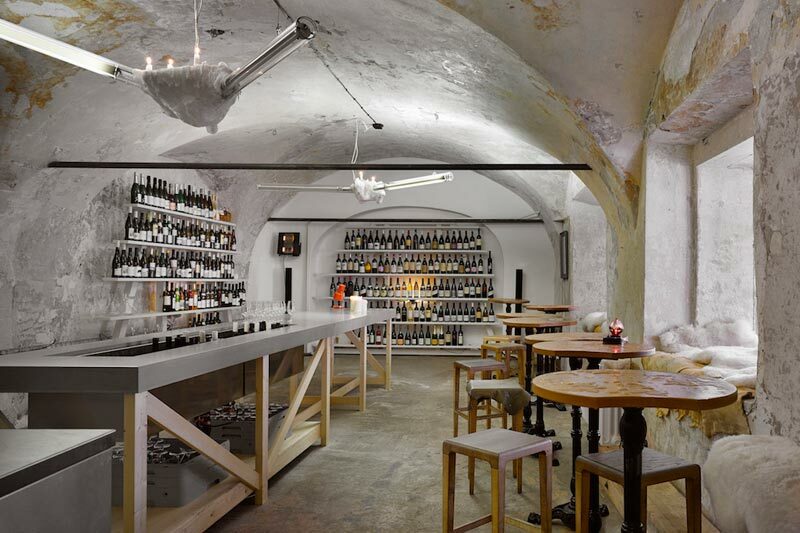 :) I like its excellent layout and the preservation of interesting architectural features. I am also very pleased that both apartments are popular with our long-term clients. Who do you work with when designing apartments? Where do you find inspiration for your projects? Certainly in magazines or on the internet, for example Instagram, Pinterest etc. I'm often ispired by the overall concept of the apartment as well. Do you prefer functionality or appearance when designing apartments? I'd say it's a combination of both. The fact that these are rental apartments, of course, brings certain restrictions. For example, I can not work with decorations so much and I need to think about the materials - endurance and safety play a big part. 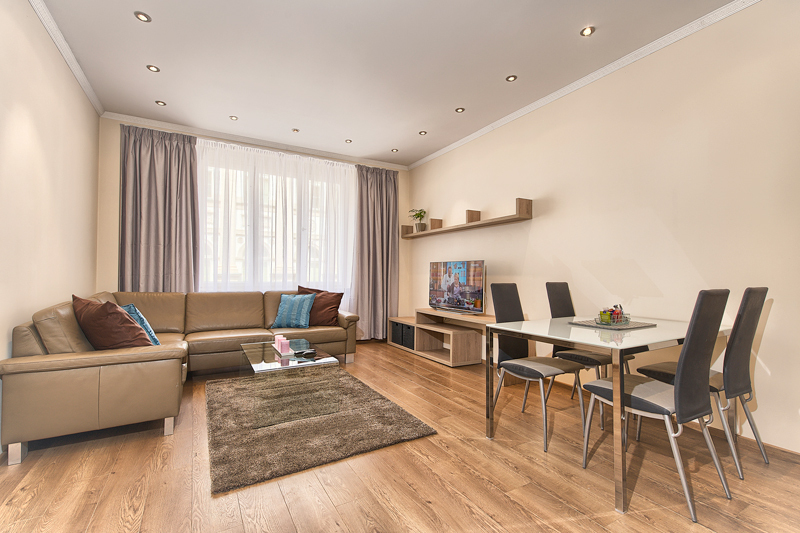 The most important thing is our clients to feel "at home" in their apartment. Is interior design more of a science or art? Again, I think it's a combination of both. 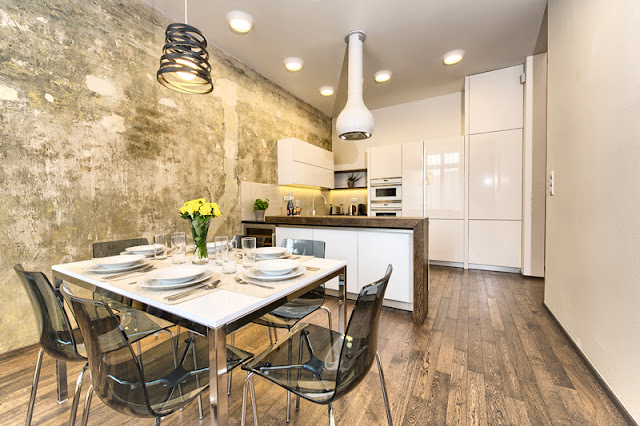 It's not just about aesthetic feelings, but also about the ability to work with the floor plan and apartment layout. You also need to be familiar with many architectural and technical issues. It is definitely a field in which one should constantly educate. What interior would you like to design? What would be your dream design project? 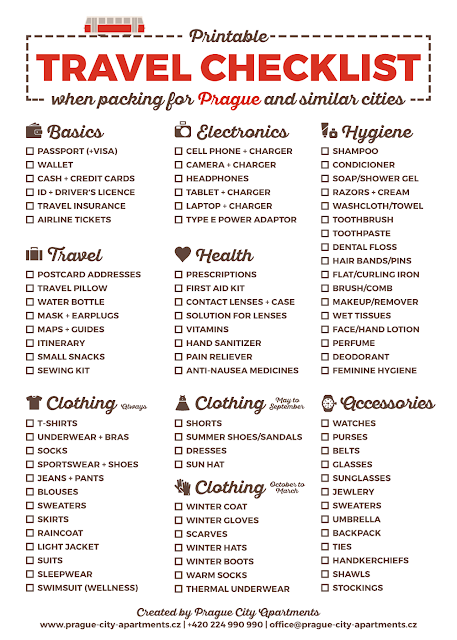 Going to Prague, Vienna, Berlin, Budapest or another similar city? 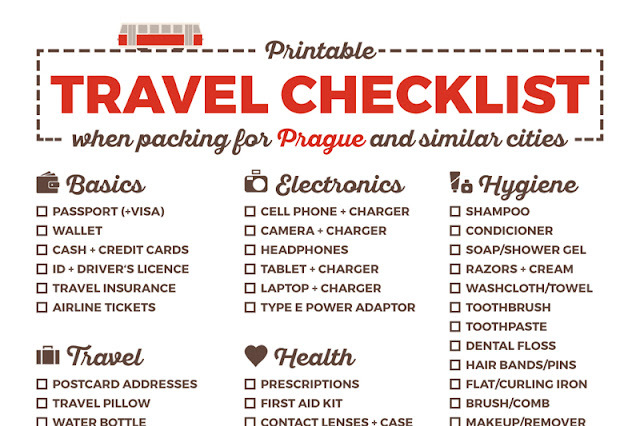 Download and print our useful packing checklist! It works great for all seasons! Prague is one of the most beautiful cities in the world. 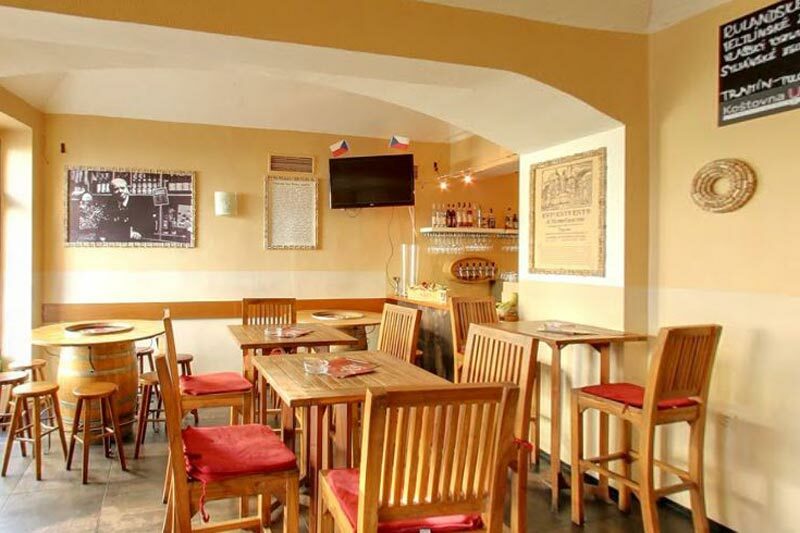 World-known sights, panoramic views, excellent beer and good prices make it a very popular destination. But unfortunately there are also many things spoiling Prague's reputation... These tourist traps are all over the city center, mostly run by foreigners who want to make easy money and don't care about tourists or Prague at all. 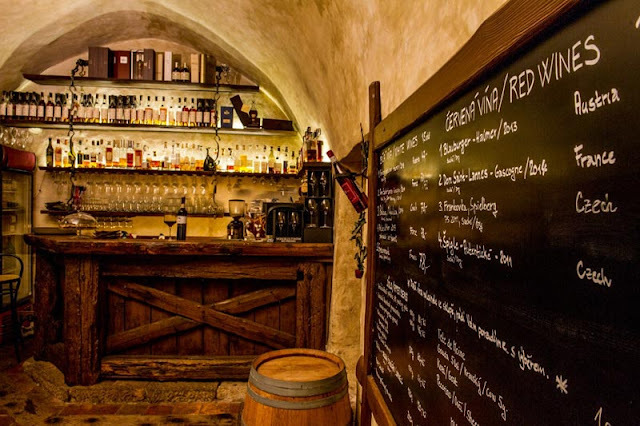 Let's take a look at the worst tourist traps in Prague! 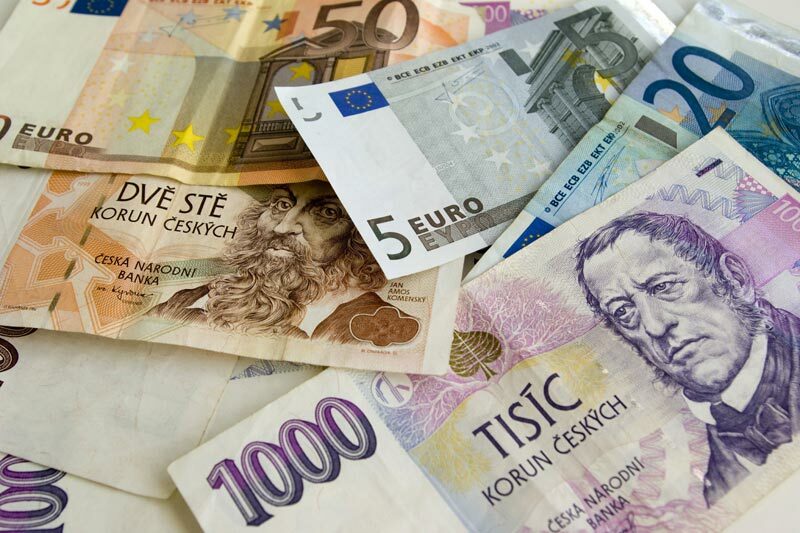 When it comes to currency exchange in Prague, be very careful! The Czech Republic has its own currency, the Czech koruna (crown). You can see them in the picture above. Always check the right exchange rate before you go and compare it with the rate on the exchange list (all offices must display the rates by law). Also make sure the exchange office offers 0% commission, some of them can take almost 30%! Most tourists are used to change their money right after landing at the airport. Don't do this in Prague... All exchange offices at the airport are owned by Interchange. This company offers very bad exchange rates and you will be ripped off. In the city center you will find many other dishonest places. Chequepoint at the Old Town Square is the worst of them. Athough they offer 0% commission, their exchange rate is so bad you will lose almost half of your money! 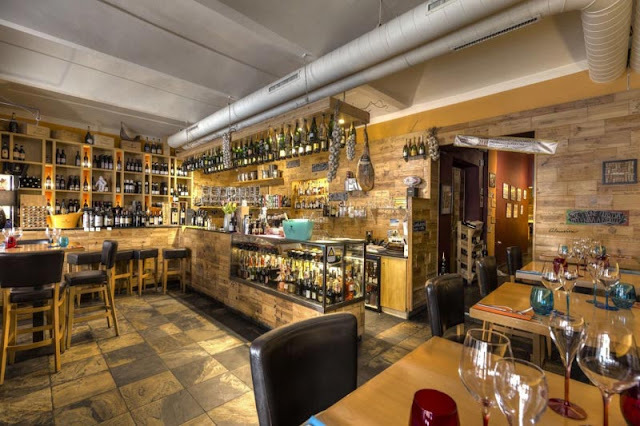 Another Chequepoint is located in Kaprova street, close to one of the best exchange offices in Prague. We can't make a list of all the bad exchange places because there is too many of them and they change almost every month. Simply check the rate and commission at any time and you will be fine. Or visit Exchange in Kaprova street 13 (corner of Kaprova and Maiselova). This is the place where most locals change their money and where you'll get one of the best rates. The best idea is to pay with your card or use ATMs. But always choose ATM of a Czech bank, don't use weird ATMs without a bank name. Also never ever change your money on the street! Foreginers try to trick tourists and sell them worthless foreign money. 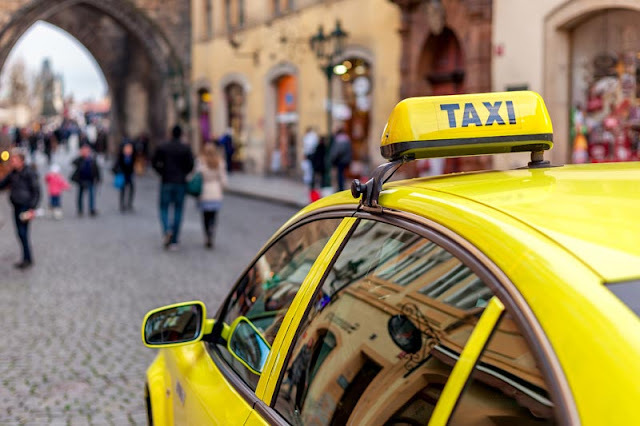 You may have already heard of taxi in Prague... Yes, it has an awful reputation. We are not proud of it, many people try to change it but you can still find taxi drivers that will totally rip you off. Please avoid taxis in front of the airport. 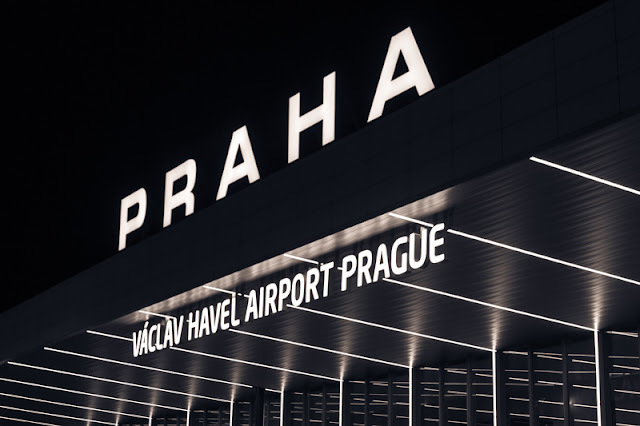 If you stay with Prague City Apartments you can use our airport transfers for honest price or for free when your stay is longer. You can also use apps like Uber or Liftago to be sure you won't pay more than you have to. Ask for an estimated price before the ride at any time. 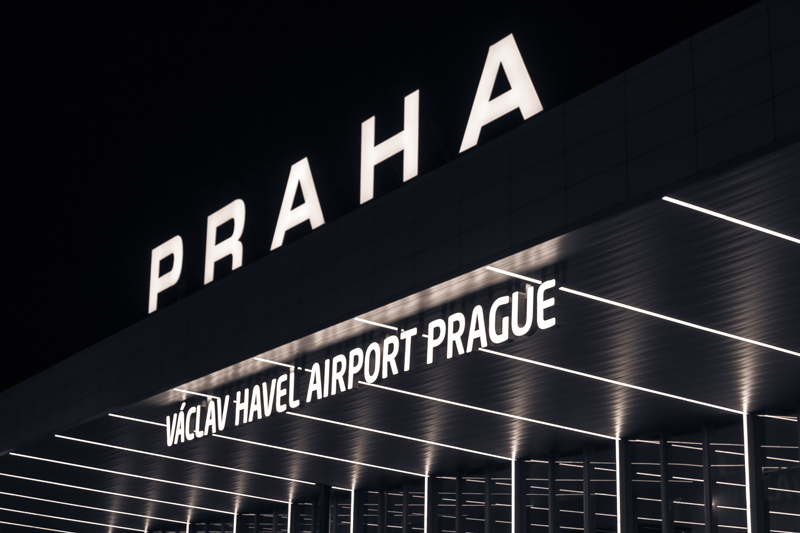 You should never pay more than 600 CZK when going from the aiport! You should always get a printed receipt. If you want to take a cab anyway, call for one ahead. For example AAA Taxi is one of the good services (+420 222 333 222). Never try to catch taxi on the street. The cheapest way to get from the airport is to use a public transport. Buy 90 minutes (32 CZK) ticket, catch the bus 119, exit the bus at the last stop (Nádraží Veleslavín), use the green metro line and go to the Můstek station. Make sure to validate your ticket on the bus. Most visitors of Prague want to see at least a part of the Royal Way, the traditional coronation route of Czech kings, leading through the city center, from the Powder Tower to the Prague Castle. 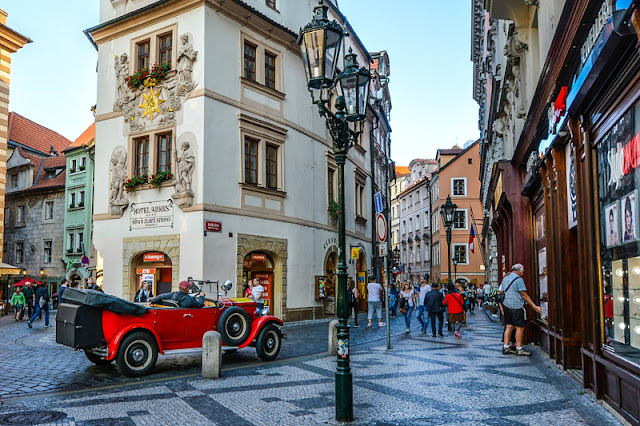 It is full of the world-known sights (the Old Town Square, Charles Bridge, Prague Castle and many more) but also full of tourist traps, strange shops which have nothing to do with Prague or the Czech Republic. 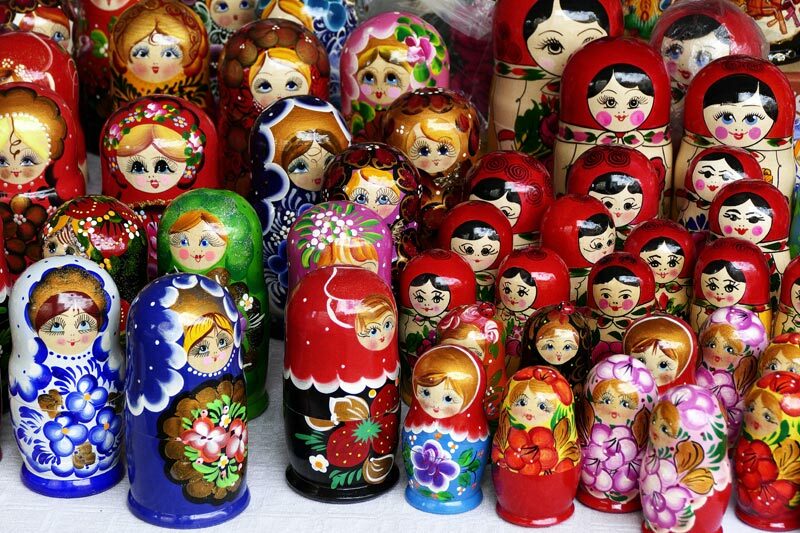 Especially Karlova street is known for the largest concetration of tasteless shops offering China made goods with Czech motifs of poor quality, Thai massages or Russian dolls... Do you want to buy a matryoshka? Well, you should go to Moscow. For a Thai massages, go to Bangkok. The historical center of Prague is just not the right place. 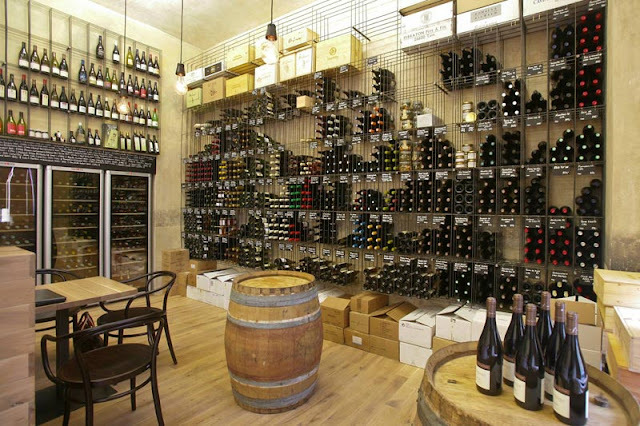 Also avoid absinthe stores (Czech absinthe is a fake, the real absinthe is French). And what is the right souvenir from Prague? 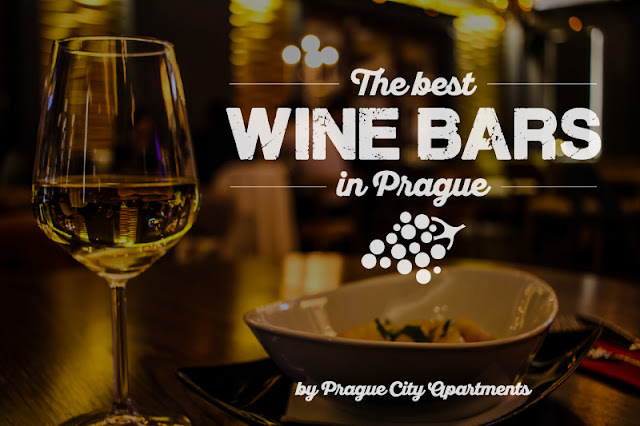 What about a can of Czech beer (Pilsner Urquell, Budweiser Budvar, Staropramen, Bernard and many more), bottle of slivovice (plum brandy) or Becherovka (traditional herbal liqueur), Kofola (soft drink), wooden toys and marionettes or traditional spa wafers? If you are brave enough, you can buy a traditional smelly curd cheese from the city of Olomouc - tvarůžky. You can also go for high quality hand-made cosmetics from Manufactura or traditional Czech glass and Czech garnet (make sure to check its the genuine Czech garnet before you buy). In Prague (same as any other popular destination) you will also see many overpriced restaurants with terrible food. 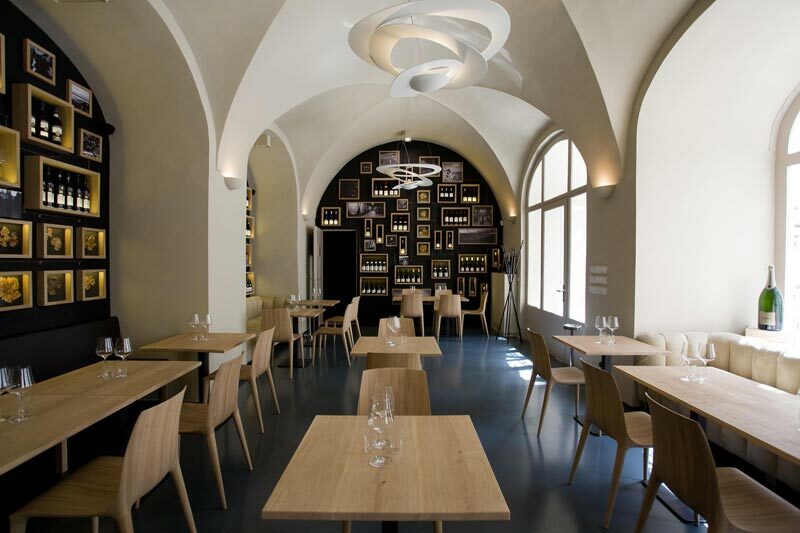 Most of them are located around the Prague Castle and in the Old Town. Of course we can't mention them all. 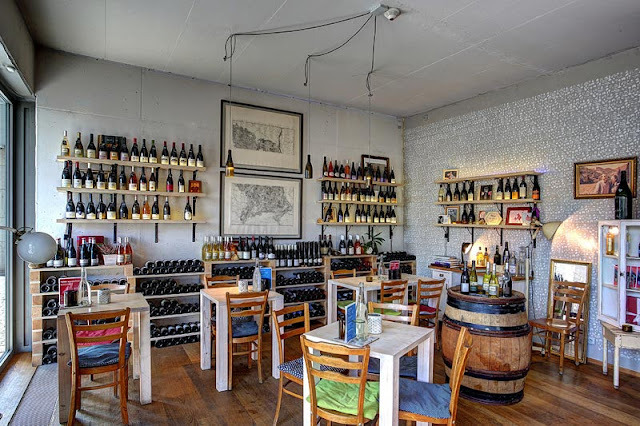 We can just recommend to check the reviews in advance (on Google, TripAdvisor or other sites) or ask locals for some good tips. 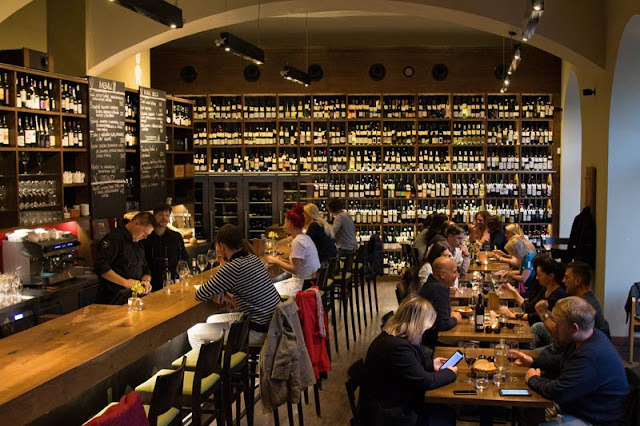 Or check our blog posts to see 8 Places to Taste the Best Traditional Czech Cuisine in the Old Town of Prague. Don't forget to book a table in advance. Some restaurants use another unfair trick. They charge you a "service fee" which is mentioned in a menu but well hidden. This fee can be very high so watch out and visit just the best rated places. Also don't pay too much for a beer. A large glass of Pilsner Urquell or Budweiser Budvar should cost no more than 80 CZK (3 EUR). But you can see these beers for less than 40 CZK (1,5 EUR) as well. If you want to taste special beers from Czech microbreweries, they can cost more. The most expensive ones even more than 100 CZK (4 EUR) or 150 CZK (6 EUR). These are not necessarily tourist traps but definitely useless services ruining the center of Prague for other visitors and locals. Don't waste your money on them. The historical center of Prague is a unique place featuring stunning, hundreds of years old sights, beautiful architecture and epic views. It is pretty small, from one side to another you can easily get in no more than 30 minutes on foot. You really don't need to rent overpriced electric scooters (segways were banned in a city center), you will just annoy other visitors and locals who just want to peacefully enjoy their time in the city. You also don't need to take bus tours or vintage cars tours (most of the cars just look old, they are fake) as you can easily discover all the famous places on foot. Walking is the only way to fully enjoy the city and not to miss all the hidden gems. To see more distant places for a reasonable price you can use Prague's great public transport system. Just buy a one day ticket and you can use it for trams, metro and buses. Don't forget to validate your ticket! Prague Airport unfortunately offers most of the mentioned tourist traps combined. Unfair exchange offices with bad rates, crooked taxi drivers or overpriced goods, food and drinks. We suggest to ignore all these things and buy anything you need somewhere else. Change your money in Exchange in Kaprova street, use Prague City Apartments transfer or Uber/Liftago and buy your souvenirs in geunine Czech shops selling high quality goods. Prague is a beautiful and picturesque city that has a lot to offer. Don't let anyone ruin your experience. If you follow our tips and you are careful about what you're buying, you always check the right exchange rate and don't waste your money on useless/fake things or overpriced food/drinks and you will be fine and you will love this city. Please share these tips with all your friends or family members going to Prague so they can enjoy their vacation. Have a great time in Prague!